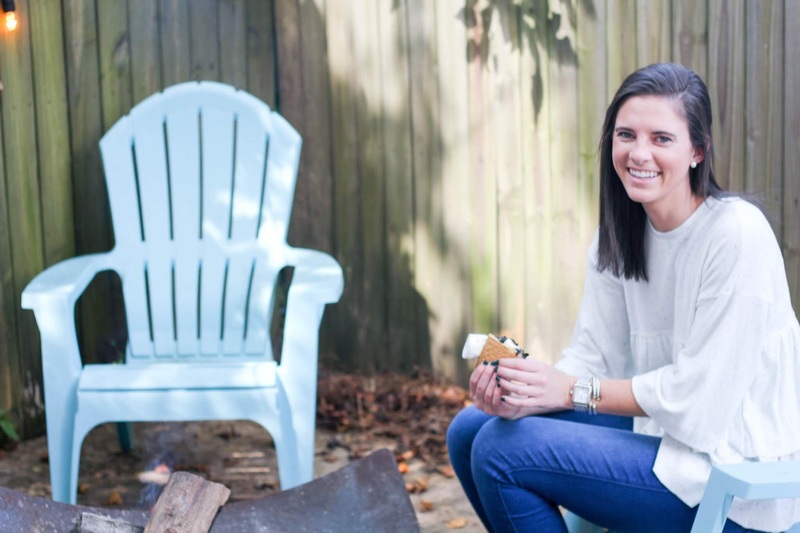 It’s hard for it to really feel like the seasons are changing for me if I haven’t had s’mores. One of the first thing Rebecca and I decided that we needed for our back deck when we moved in was a fire pit. 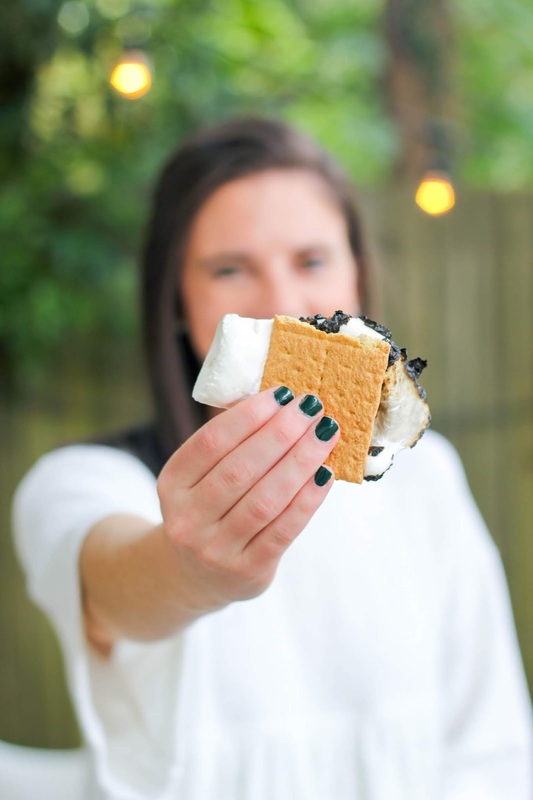 We could picture groups of friends gathering around a fire pit with marshmallows in hand ready to consume s’mores. Fortunately, we’ve found friends and a fire pit to make that dream a reality. 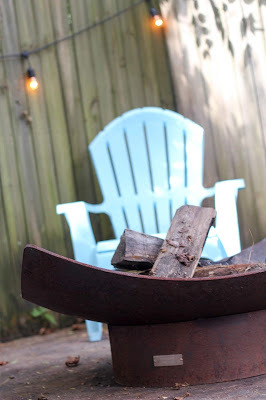 We knew that we wanted our fire pit to be its own area on our deck (on the concrete of course – my dad was incredibly concerned that I wouldn’t think this through and put it on the wooden part) which meant that we wanted something that was relatively large but also pretty. Seasons Fire Pits was the perfect solution. 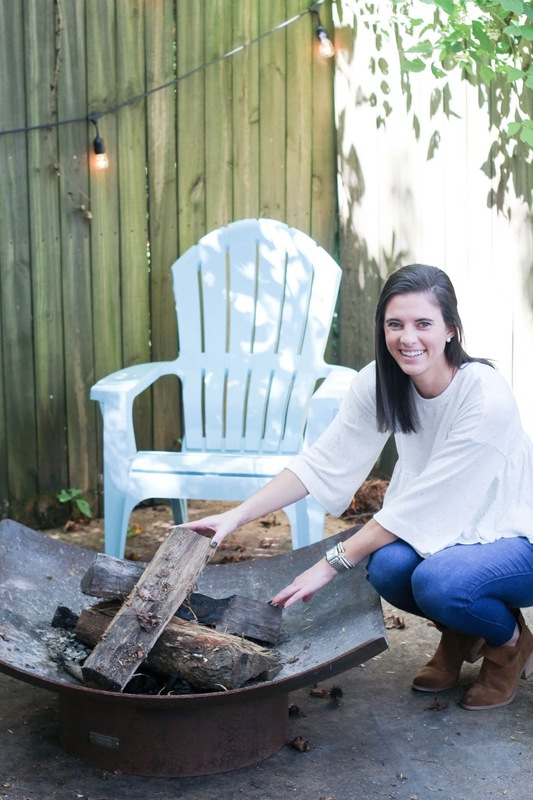 The owner, Anne, is a sorority sister of one of my mom’s friends and created the business after being born to a steel fabrication manufacturer and having worked in the steel fabrication business for over 20 years. 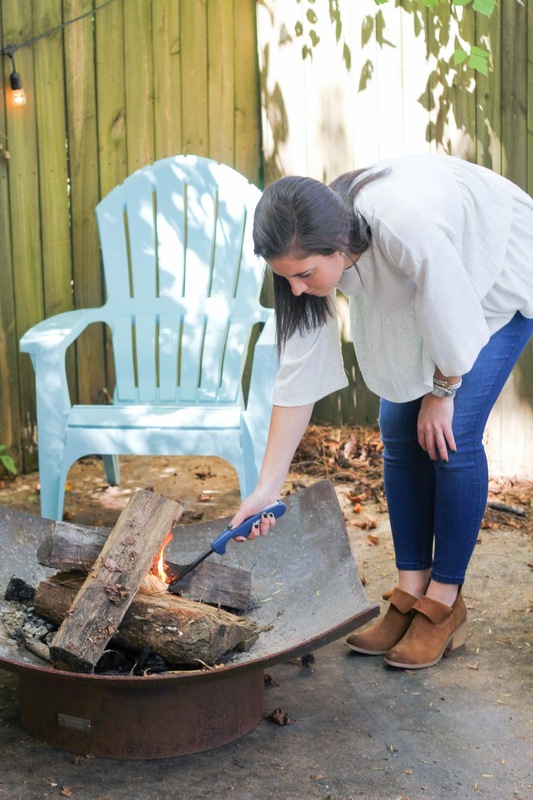 With a keen eye for the sleek lines of steel, she was able to create the timeless design of fire bowls with a quality that will last a lifetime. 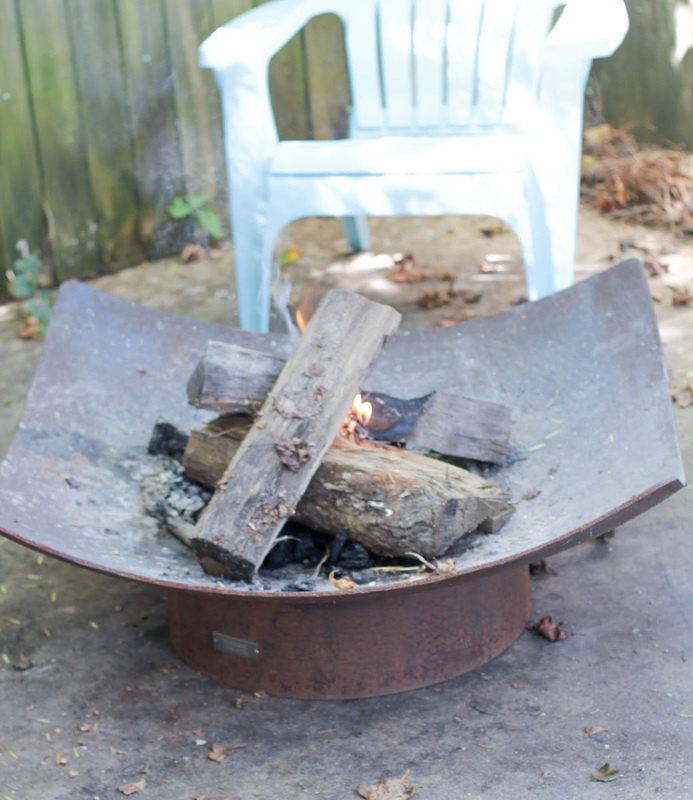 We got the 36” quadrilateral fire pit that has been the perfect size for our space. 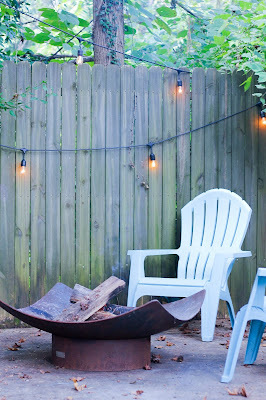 A couple weekends ago we hung lights around the back deck and made a point to extend them across the space to encourage people to sit down, relax, and make a s'more while over at our house. This fire pit has already become the focal point of the two deck parties we’ve had and rightfully so. 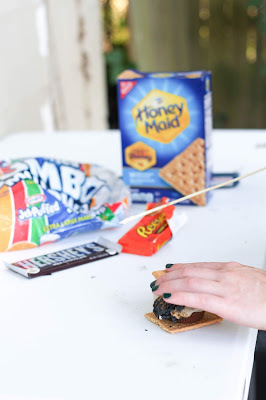 If you follow me on Instagram, then you may already know this, but if not, my roommate offered to order supplies for s’mores before our first party. She didn’t realize until the order came that she had accidentally ordered 8 bags of jumbo marshmallows instead of one 8 oz bag. We found this to be absolutely hysterical and now have told everyone there is a two s’more minimum that they need to consume when they come over. Once we got past the number of marshmallows, we ordered I noticed that my roommate had also ordered Reese's cups to make s’mores with too. 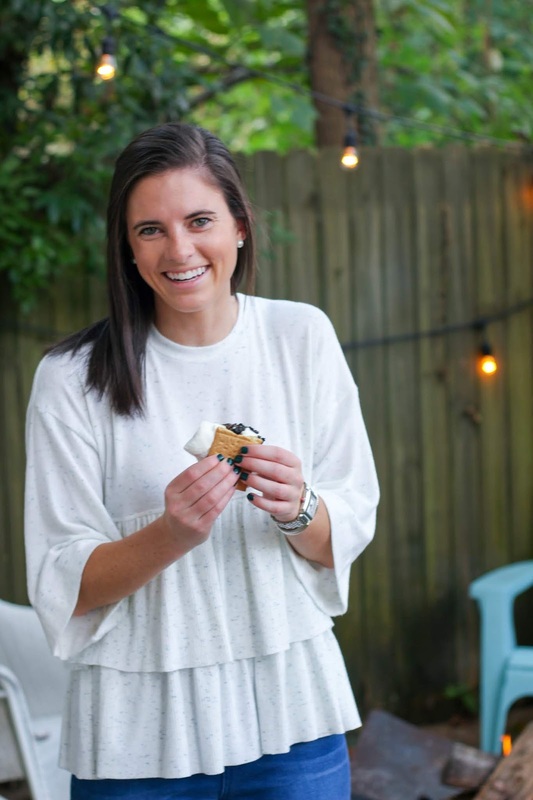 I hadn’t ever made s’mores that way, and it is such a game changer. 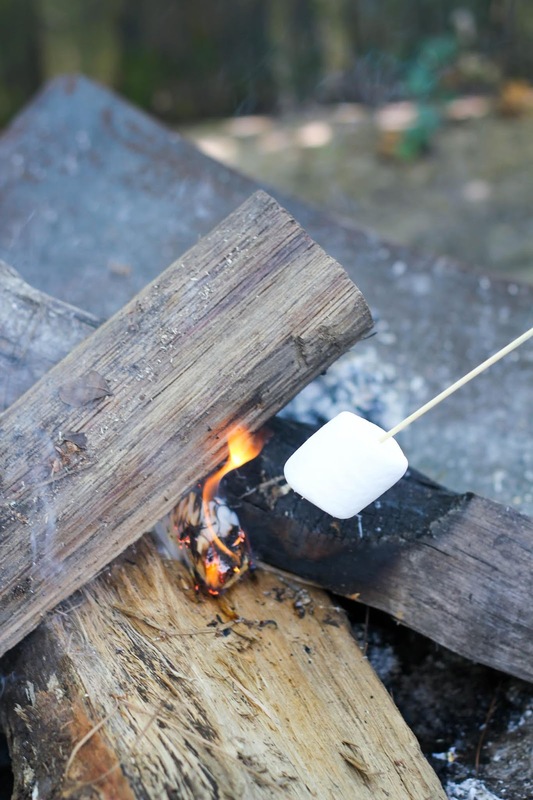 Now when I think about making the perfect s’more it doesn’t come down to the color of the marshmallow but instead the decision of what type of chocolate to put on my s’more. 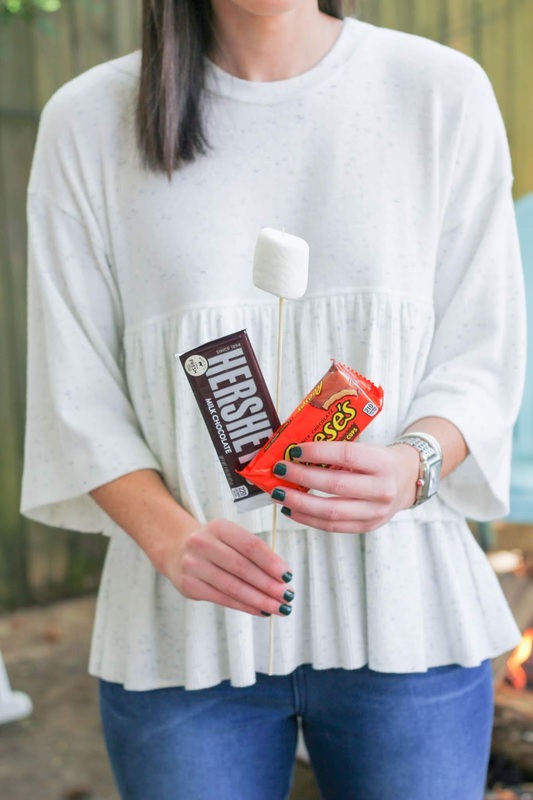 While I do love a classic one with Hershey pieces, a melted peanut butter cup is hard to beat. Fortunately, with our two s’more minimum it only makes sense to make one of each. 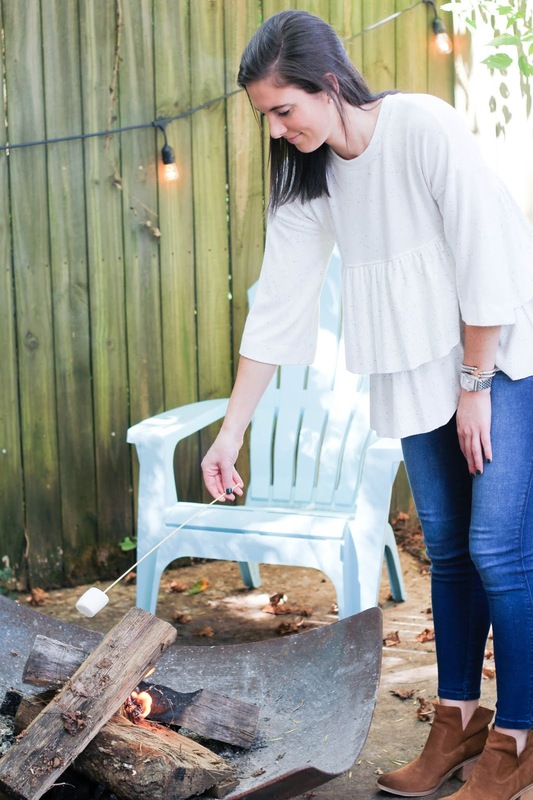 I know that as the weather cools down, we will be spending even more time around our fire pit and maybe even discover more delicious s’mores combinations. If you know of other delicious ways to make them, please let me know because we’ve got a lot of marshmallows to go through and a great place to eat them!